After a one-year lull, India Inc turned on the rewards tap big time in financial year 2010 when corporate profits were back on track (aggregate net profit went up 27 per cent in 2009-10 compared to a16 per cent decline in the previous year). So it was no surprise when surveys done by leading headhunters projected a 10 per cent-plus salary increase in FY 2010, well above China and amongst the highest in the world. But the actual increase beat projections by a long margin as the economy moved to top gear and many companies went for mid-year pay reviews. Attrition was also back. So India was right on top of a manpower survey of the best countries for new jobs. As demand for talent zoomed, the CEOs also raked in big money, which is evident from the addition of 111 crorepati CEOs in FY 2010, taking their total number to 893. The creamy layer -- executive directors and above -- rewarded themselves with a big hike in pay packet in 2009-10. Overall, the salaries & wages of 106 executives more than doubled, and as many as 98 executives saw an increase of over 50 per cent. The pay packets for promoters include commission on net profit while for professional CEOs, it is cost to company including salaries, wages & bonus, contribution to funds, staff welfare expenses, gratuity paid and other employee costs. However, this does not include allotment of shares through employee stock options schemes. So check out what is the take-home pay of India's top executives. Image: Executive take-homes touched a new peak, fuelled by companies' hunt for star talent. 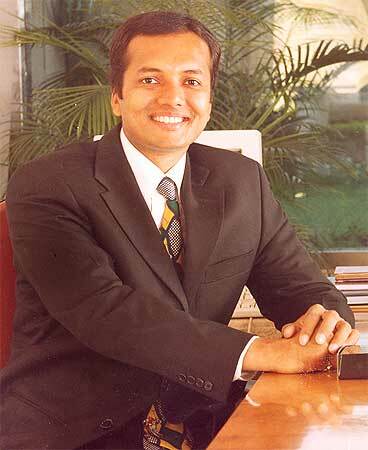 At the top of the heap was Naveen Jindal, executive vice chairman & managing director of Jindal Steel & Power. He got a salary of Rs 69.76 crore (Rs 697.6 million) -- Rs 8.69 crore (Rs 86.9 million) salary and Rs 61.07 crore (Rs 610.7 million) --- salary and perquisites and benefits. 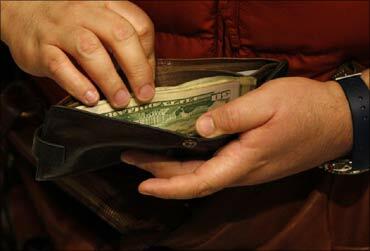 This was an over three-fold increase from Rs 20.36 crore (Rs 203.6 million) Jindal earned in 2008-09. Naveen is also a Member of Parliament from Kurukshetra. Kalanithi Maran is the chairman and managing director of Sun TV Network Limited and SpiceJet. 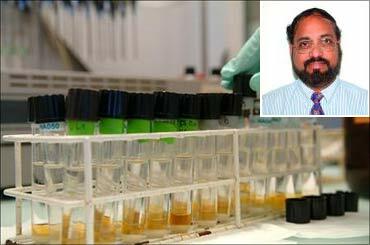 He earned a salary of Rs 37.08 crore (Rs 370.8 million) in 2010. Kalanithi Maran heads Sun TV, India's biggest regional broadcaster. He owns 21 television channels in Tamil, Telugu, Malayalam and Kannada and 42 FM stations in Tamil, Telugu, Kannada and Hindi. He is a shareholder in Red FM. He also owns two Tamil newspapers and four Tamil magazines. In 2008, in partnership with Malaysia's Astro, he launched Sun Direct, a direct-to-home satellite television service provider. There are expansion plans in the pipeline, particularly in the television and radio industries. Maran is the son of the late DMK leader and former Union minister Murasoli Maran, the grandnephew of DMK president M Karunanidhi, and the brother of Dayanidhi Maran, former Union minister for communications and information technology. 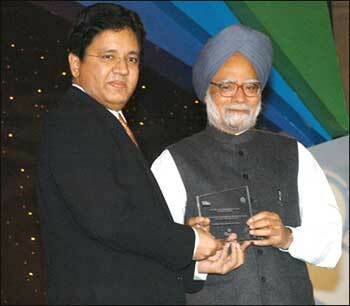 Image: Kalanithi Maran wtih Prime Minsiter Manmohan Singh. Kavery Maran is Kalanithi Maran's wife. 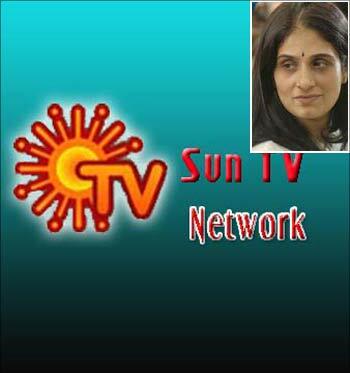 She is the joint managing director of Sun TV Network Limited. In 2010, she took home the same salary as her husband: a whopping Rs 37.08 crore (Rs 370.8 million). She also looks after the operations of their vast business. Pawan Munjal is the fourth highest paid CEO in India with a compensation of Rs 30.88 crore (Rs 308.8 million) plus a commission of Rs 29.50 crore (Rs 295 million), a rise of over 50 per cent over 2009. His total earnings in 2010 thus stand at Rs 60.38 crore (Rs 603.8 million). However, this list ranks executives only on their salary and does not also include the commissions they might have received. 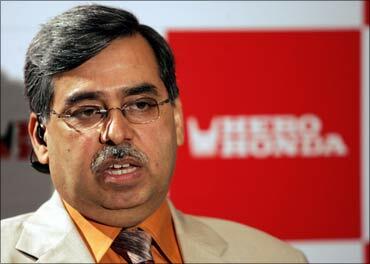 Pawan Munjal is the managing director and CEO of Hero Honda. He is responsible for growth and strategic planning for the entire group. B M Munjal is the fifth highest paid CEO with a package of Rs 30.638 crore (Rs 306.38 million). He also earned a commission of Rs 29.50 crore (Rs 295 million) in 2010. His total earnings in 2010 thus stand at Rs 60.13 crore (Rs 601.3 million). 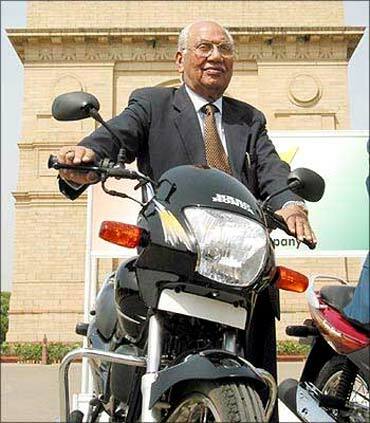 Founder director and chairman of the $2.8 billion Hero Group, Brijmohan Lall Munjal has also served as the president of Confederation of Indian Industry (CII), Society of Indian Automobile Manufacturers (SIAM). He has also won the Padma Bhushan Award. Toshiaki Nakagawa, joint managing director, Hero Honda is at the sixth position in terms of highest salaries drawn by executives in India. Nakagawa's salary is at Rs 30.03 crore (Rs 300.3 million). He too earned a commission of Rs 29.50 crore (Rs 295 million) in 2010, putting his total earnings at Rs 59.53 crore (Rs 595.3 million). He joined Honda Motor Co, Ltd, Japan in April 1973. 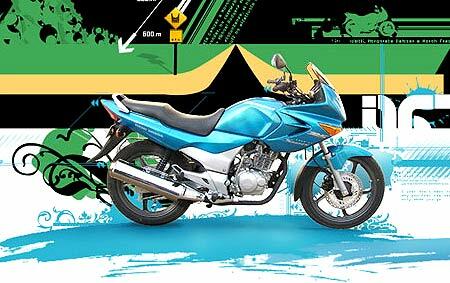 He later took over various assignments at senior positions in the worldwide Honda network. He looks at overseas sales of automobiles and motorcycles. His total earnings come to Rs 59.41 crore (Rs 594.1 million). Sumihisa Fukuda who was appointed as an additional and technical director on May 13, 2008, has more than 30 years of experience. 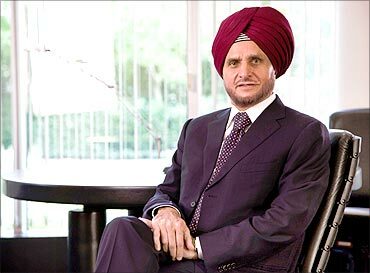 The chairman of Apollo Tyres, Onkar Kanwar saw a whopping rise in salary commensurate with a rise in company's profit. 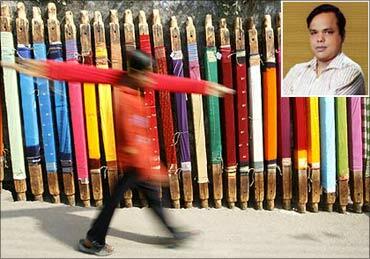 Kanwar bagged the eighth highest salary of Rs 29.69 crore (Rs 296.9 million), a rise of 222 per cent. He also got a commission of Rs 18.50 crore (Rs 185 million), taking his total earnings to Rs 48.19 crore (Rs 481.9 million). Onkar Kanwar is the chief architect of the company's vision and guides the company's operations. Under his leadership in the 1980s and 90s, Apollo became a professionally run tyre manufacturer. 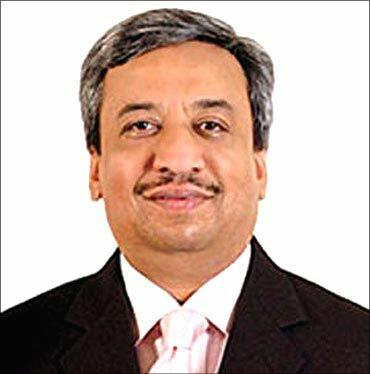 Pankaj Patel, chairman and managing director of Cadila Healthcare, with a salary of Rs 28.63 crore (Rs 286.3 million) is the tenth highest paid CEO in India. 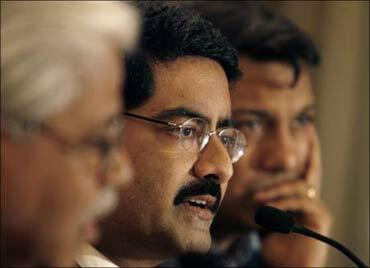 Head of commodities conglomerate Aditya Birla Group has his hands full with a move to restructure group's cement business. His salary for the year 2010 was 28.467 crore (Rs 28.467 million). He also received a commission of Rs 28.45 crore (Rs 284.5 million), taking his total earnings for the year to Rs 56.917 crore (Rs 569.17 million). Kumar Birla is also the tenth richest Indian. 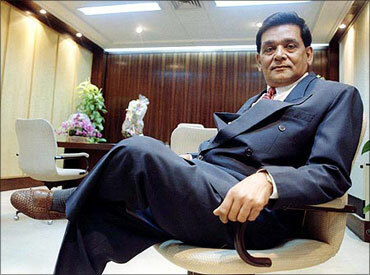 Unlike other CEOs, PRR Rajha's compensation dropped by 3 per cent to Rs 27.91 crore (Rs 279.1 million). But he also got a commission of Rs 27.60 crore (Rs 276 million), taking his annual earnings to Rs 55.51 crore (Rs 555.1 million). Rajha is the managing director of Madras Cements Ltd. He also serves as chairman of Ramco Systems, Ramco Industries and Rajapalayam Mills Ltd.
A first generation entrepreneur, Sunil Bharti Mittal started his first business in April 1976 at the age of 18, with a capital investment of Rs 20,000 borrowed from his father. His first business was to make crankshafts for local bicycle manufacturers. His salary for the year 2010 stood at Rs 23.488 crore (Rs 234.88 million), making him the 12 highest paid executive in India. 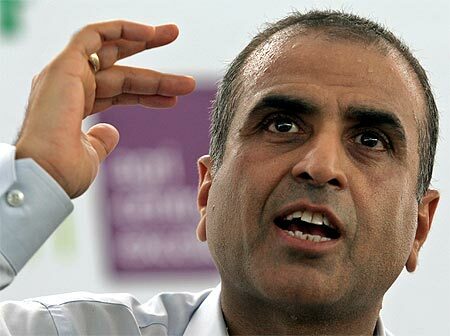 Sunil Mittal started his career after graduating from Punjab University in India . 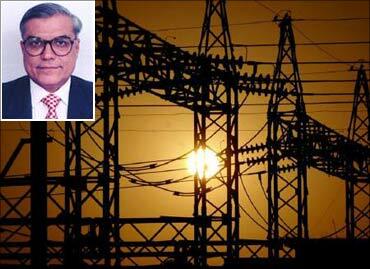 He founded Bharti in the year 1976. Today, at 50, he heads a successful enterprise with a market capitalization of about $40 billion employing over 30,000 people. Markand Bhatt, who is an Indian Institute of Management-Ahmedabad alumnus, heads the Torrent Group. His salary was Rs 21.501 crore (Rs 215.01 million) in 2010. Apart from tis, he received a commission of Rs 17.60 crore (Rs 176 million). 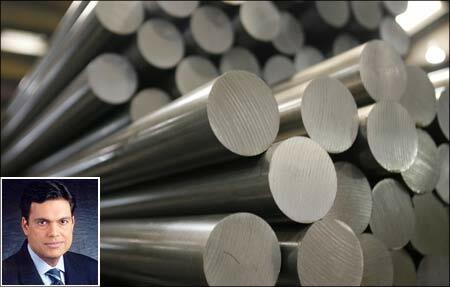 His other directorships include Torrent Power Ltd., Torrent Pipavav Generation Ltd., and Torrent Energy Ltd.
Sajjan Jindal is the vice chairman and managing director of JSW Steel. His pay packet for 2010 was Rs 19.273 crore (Rs 192.73 million). JSW Steel is India's third-largest steel producer. 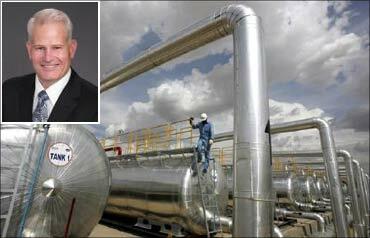 Vivek Jain is the managing director of Gujarat Fluorochemicals. His salary for 2010 stood at Rs 18.184 crore (Rs 181.84 million). He also earned a commission of Rs 17.613 crore (Rs 176.13 million) during the year. He is a graduate of Commerce from St Stephens College Delhi and also has a post graduate degree in Business Administration from the Indian Institute of Management Ahmedabad. He has over 25 years of rich business experience in setting up and managing several businesses. 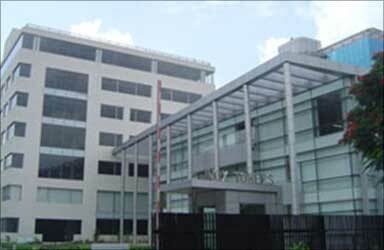 Gujarat Fluorochemicals Limited is a part of the $2 billion INOX group of companies -- a family owned, professionally managed business group, with interests in diverse businesses. Listed on both the Bombay Stock Exchange and national Stock Exchange, GFL has a market capitalisation of close to $1 billion. 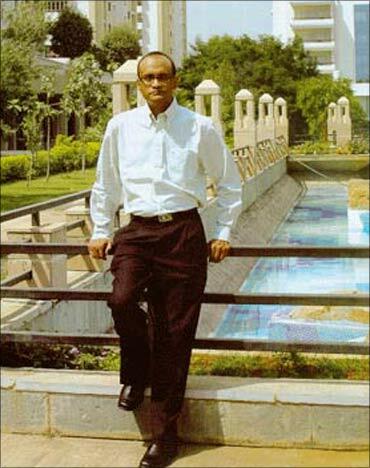 E Sudhir Reddy, the chairman and managing director of IVRCL Infrastructure and Projects. He received a salary of Rs 18.182 crore (Rs 181.82 million) in 2010 and a commission of Rs 16.684 crore (Rs 166.84 million), making him the 16t highest paid executive in India. 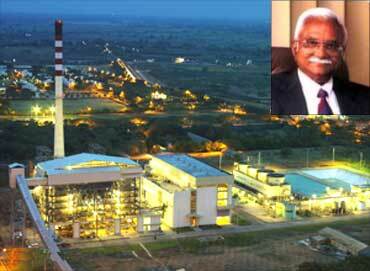 D Bhattacharya is the managing director of Hindalco. 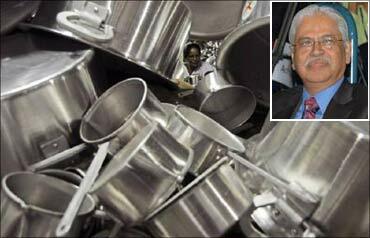 He heads the Aditya Birla Group's non-ferrous metals business. In 2010, he received a salary of Rs 17.143 crore (Rs 171.43 million). Cairn India's executive director and chief operating officer, Rick Bott, is the 18th highest paid executive in India. In 2010, is salary was Rs 16.474 crore (Rs 164.74 million). Bott has over 20 years experience and has joined Cairn India from Devon Energy's International division where he was vice president responsible for developing and implementing business growth and exploration strategy. 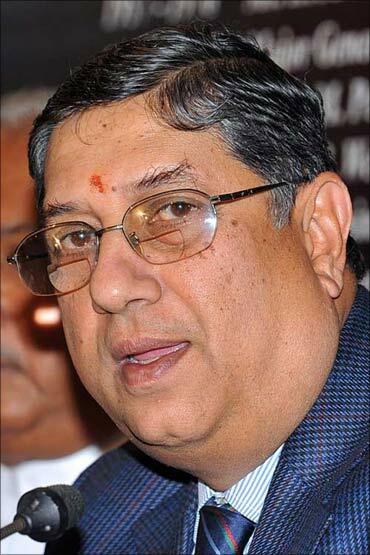 N Srinivasan, managing director, India Cements is India's 19th highest paid executive. His salary was Rs 15.938 crore (Rs 159.38 million). In 2010. Besides, he also received a commission of Rs 10.11 crore (Rs 101.1 million) during the period. N Srinivasan is also the secretary of the Board of Control for Cricket in India and owner of the IPL team Chennai Super Kings. Anil M Naik is the chairman and managing director of Indian engineering giant Larsen & Toubro. He was awarded the Padma Bhushan in 2009. In 2010, his salary was Rs 15.297 crore (Rs 152.97 million). He also received a commission of Rs 10.55 crore (Rs 105.5 million). Mukesh Ambani, the chairman and managing director of Reliance Industries Ltd, earned a salary of Rs 15 crore plus commission of Rs 4.64 crore, taking his annual earnings to Rs 19.64 crore (Rs 196.4 million). 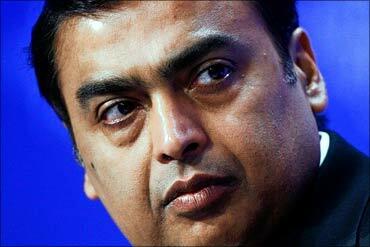 Mukesh Ambani has been ranked India's richest person, and the world's fifth richest man, by business magazine Forbes. At $27 billion, Mukesh Ambani is as rich as Larry Ellison, the third richest American. Bill Gates at $54 billion is twice as rich as Ambani. Ambani, who joined Reliance in 1981, led the creation of the world's largest grassroots petroleum refinery at Jamnagar, Gujarat, built at a cost of Rs 100,000 crore (Rs 1,000 billion). 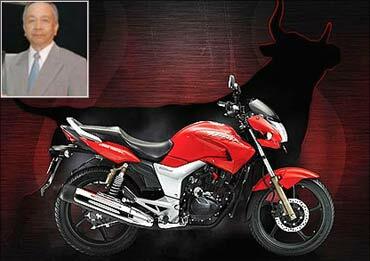 Bharat Hari Singhania is the managing director of JK Corp, the cement arm of the JK Group. For 2010, his salary was Rs 14.445 crore (Rs 144.45 million). He also received a commission of Rs 12.276 crore (Rs 122.76 million) during the year. 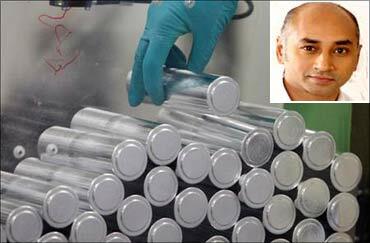 Jayadev Galla is managing director of Amara Raja Batteries Ltd. He received a salary of Rs 13.84 crore (Rs 138.4 million) in 2010. During the same year, he also got a commission of Rs 13.589 crore (Rs 135.89 million), taking his total earnings to Rs 27.429 crore (Rs 274.29 million). 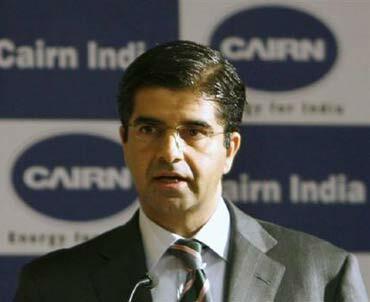 Rahul Dhir is chief executive officer of Cairn India. His salary for 2010 was Rs 13.563 crore (Rs 135.63 million). He completed his degree in Bachelor of Technology from the Indian Institute of Technology, Delhi. He went on to complete his M.Sc from the University of Texas at Austin and MBA from the Wharton Business School in Pennsylvania. Murali K Divi is the chairman and managing director of Divi's Labs. His salary in 2010 was Rs 13.47 crore (Rs 134.7 million), while he also received a commission of Rs 12.53 crore (Rs 125.3 million) during the same year.